1. Why should I consider a Collaborative Divorce? 2. How will this differ from the traditional divorce process? 3. How does the practice of Collaborative Divorce work and affect Attorney’s Fees? 4. How does Collaborative Divorce focus on the Future? 5. How does Collaborative Divorce focus on our Children? 6. Do we ever have to go to Court? 7. What happens if an Agreement is Not Reached? 8. How does the Court’s Budget Crisis affect my family law issues? The Collaborative Process is a more effective method to resolve your family law issues. When you eliminate the costly, contentious and aggressive court process, you have an opportunity to resolve your custody, financial and property issues in a respectful and collaborative atmosphere, with collaboratively trained professionals who support your reaching an agreement. Your energy and resources are dedicated to resolving issues by creating options that consider the needs of all family members. You’ll retain your dignity and avoid the expensive process of pitting yourself against your partner to try to “win” the favor of a judge, who will decide your family’s outcomes, not you. If you have children, throughout the Collaborative Divorce process, professionals help you consider the viability of your dancing at their weddings, and being cordial at all their major milestones. You work together to avoid your children being torn between you up through their adult lives, and to avoid their having to “handle” parental tensions that persist. Licensed mental health professionals help you and the attorneys to move forward efficiently, by skillfully helping partners to communicate effectively, to regulate intense emotions and to consider long-range goals for your own and your children’s well-being. Your family law issues are treated in court as if they were simply traditional law issues – as if your divorce were a simply a dispute between two people who disagree about property, compensation, etc. A traditional court divorce process is not designed to consider the intimate nature of the co-parenting and extended family relationships amongst family members – relationships that will continue even after a divorce, if you have children. The very structure of family law litigation (i.e. arguing a divorce case in court before a judge) requires partners and parents to aggressively position themselves against the other to “win” the favor of a judge. This process increases hostility and costs, often creating new sources of anger and pain that last a lifetime. Attorneys battle on your behalf. Expert witnesses , friends and family may be called to testify against you or your partner or co-parent . Litigation usually involves: extensive attorney time preparing legal briefs to argue your legal position, long costly waits at the courthouse until the judge can hear your case, and frequent postponements of court hearings, requiring even longer waits to achieve resolutions. You pay for all the professionals and experts to wait with you in court – sometimes for days. These many hours and delays are not only much more costly, but significantly add to the frustration, pain and distress of separating your lives. Effectively addressing the children’s needs is typically lost in the court battle over which parent is “right,” and “wins” in the eyes of a judge. The resulting tension, regardless of the outcome, is likely to persist for years. Children feel that tension the most. Collaborative Divorce, in contrast, is designed to consider the well-being of all family members. When children are involved, their well-being is carefully and thoughtfully considered into the future. Respect and good will are encouraged, rehearsed and supported throughout the process. Every case is different depending on variables such as the complexity of issues, and the time it takes a couple to come to a meeting of the minds, even with professional support. In general, the Collaborative Process is significantly less expensive than litigation. At the very least, the Collaborative Process avoids time and cost-consuming litigation and adversarial proceedings, such as depositions, examinations of multiple expert witnesses, and the time consumed when attorneys have to be paid to wait for hours to be heard, as well as the court hearings themselves. The Collaborative Divorce Process allows couples to allocate their resources to a team of experts who together make coming to an agreement more efficient as well as effective. They work simultaneously, only when it’s essential, while making sure each functions in his/her own key area of expertise. For example, attorneys not clinically trained to contain emotional upheavals, do what they do best with licensed mental health professionals alongside helping to regulate heated emotions and keep the agreement process moving forward respectfully and cost effectively. Attorneys help the couple address and understand their legal rights. A financial “neutral” (CPA) ensures the entire team is informed regarding finances, all at once, so couples are not paying for multiple conversations or the costly forensic accounting of two separate CPAs. The custody agreement, or “Parenting Plan,” is usually worked out by the mental health professionals and the couple, and then submitted to attorneys for review and drafting. The professional team is equipped and prepared to address the many emotional, financial and legal complications of divorce efficiently, attuned to each family’s unique needs. In addition, families are more likely to come to workable and lasting agreements, because such agreements are rooted in mutual understanding rather than the adversarial positioning that occurs in court. When couples are so invested and expertly guided on the road to agreement, they are far more likely to make agreements that work for the long-run, and avoid future court costs. Divorce is both an ending and a new beginning. At the very start of the collaborative process, couples are helped to co-create a Mission Statement that speaks to their highest values. The mission statement affirms the context the couple aims to create both for the divorce itself and for their restructured family going forward. The Collaborative Process takes into account that no partner is at his/her best under the stress that naturally accompanies most divorces. Consequently, mental health professionals help anticipate this, and use the Mission Statement to call partners back to their better selves, with a vision to the future and to their well-being, as well as that of their children. Because the Collaborative Process helps each partner anticipate future needs and concerns by addressing them in discussions, couples are able include these in their final agreement. When children are involved, Collaborative Professionals make planning for the children’s futures a priority. A major goal is helping couples learn some of the skills needed to build and sustain an effective co-parenting relationship going forward, to shield children as much as possible from any ongoing tension between co-parents. Collaborative mental health professionals support and guide families as roles and relationships are restructured through this challenging transition. 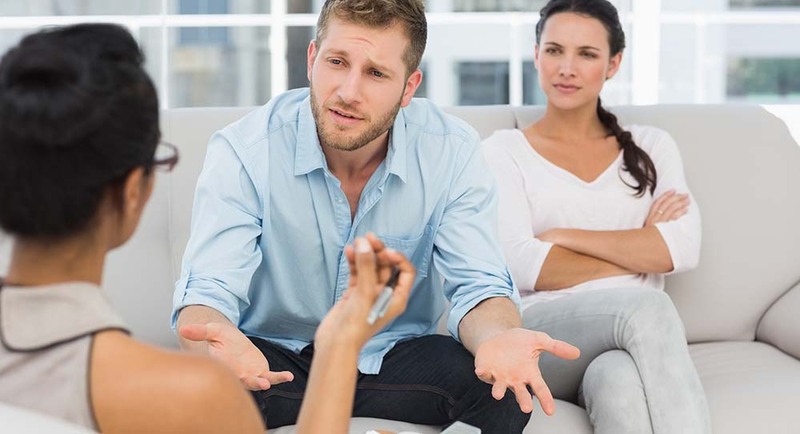 Perhaps more than any other divorce option, Collaborative Divorce deliberately prepares families to launch into the next stage of their lives, as smoothly and respectfully as possible. The break up of the relationship between parents is very difficult emotionally for children. You want to resolve your family law issues but you also want to shield your children from experiencing your pain and suffering over your disputes. In the Collaborative Process, you are able to work with mental health experts, called “coaches,” who help you achieve resolutions and develop effective Co-parenting Plans (called “custody agreements” in court). Using coaches provides a safe environment to express parenting concerns and an informed method for reaching agreement with your child’s developmental needs and interests in the forefront. One of the best parts of the Collaborative Process is the primary use of coaches (and not attorneys, as in the case of traditional divorce) to resolve parenting disputes. Reducing anger and hostility between parents and working towards healthy co-parenting is a gift you give your children and one they will benefit from now on into adulthood. No! The goal of the Collaborative Process is to resolve all divorce-related issues, honoring and respecting the needs of each family member, without going to court. With the Collaborative Process, you will be professionally guided to resolve all your issues through negotiation and agreement. Once agreement is reached collaboratively, the lawyers draft the “Stipulated Judgment” (legally binding agreement), and you each review and sign it. 7. What happens if agreement is not reached? The collaborative team may suggest bringing in a mediator or other professional(s) to help facilitate an agreement. This is rare, however. The point is that collaborative professionals go the extra mile to keep a couple out of court. If one or both partners chooses to discontinue the Collaborative Process, or refuses to budge from entrenched positions, at that point, all team professionals are obligated contractually to withdraw completely from the case and from supporting any other divorce proceeding for either partner. This “consequence” for a partner’s discontinuing the Collaborative Process gives both partners incentive to reach agreement and to avoid starting all over, from scratch, in the court system, with its attendant time delays, adversarial positioning and significant additional financial costs. 8. How does the Court’s Budget Crisis affect my family issues? If you choose a traditional litigated divorce, the court’s budget cuts are likely to impact your divorce process significantly in terms of delays, and the cost of those delays. The California State Budget Crisis has drastically affected the courts. Financial cuts have significantly decreased access to the legal process through traditional court litigation. Massive cuts in court budgets have resulted in reduced court staff, less courtrooms, and thus increased delays and wait times for couples. For you this means that if you want to resolve your disputes in court, you will have to wait longer for a hearing date, wait longer on the day of your hearing for your case to be heard, and have substantially longer document-processing times. For traditional divorce litigation, these longer waits mean higher costs for you. You will have to pay your lawyers and any other professionals needed to wait with you until your case can be heard (e.g. forensic accountants, child custody evaluators, psychologists, real estate or retirement specialists). Delays (e.g. support, housing) longer periods of tension and distress for you and your family. Depending on the specifics of a case, this process can take a number of years. We know of one case that took 12 years of ongoing litigation to conclude. The Los Angeles County Supervising Judge of the Family Law Departments has stated that longer wait times for hearings, trials and other family law court processes are expected to continue. Courts in Los Angeles County are anticipating more cuts and closures. Fortunately, with Collaborative Divorce you your attorneys need little if any interaction with the courts.